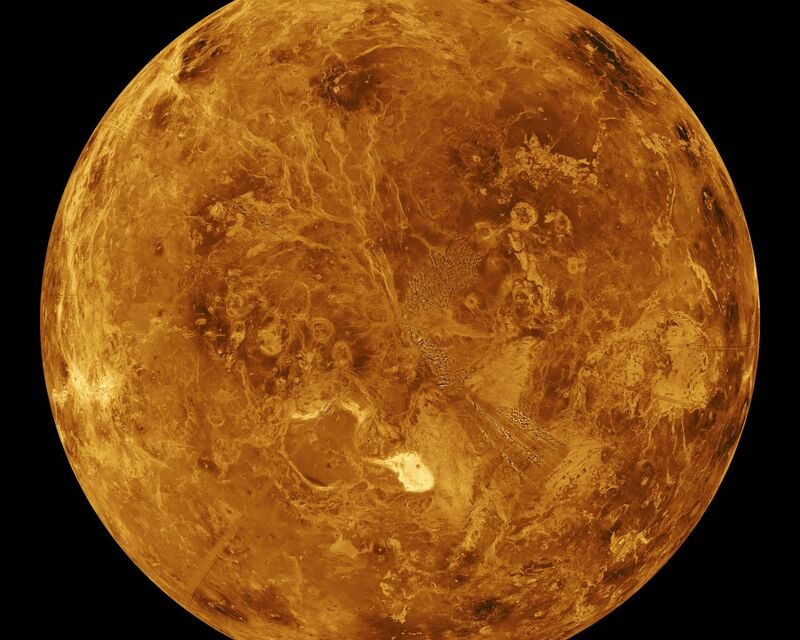 The northern hemisphere is displayed in this global view of the surface of Venus. The north pole is at the center of the image, with 0 degrees, 90 degrees, 180 degrees, 270 degrees east longitudes at the 6, 3, 12, and 9 o'clock positions, respectively, of an imaginary clock face. Magellan synthetic aperture radar mosaics from the three eight-month cycles of Magellan radar mapping are mapped onto a computer-simulated globe to create this image. 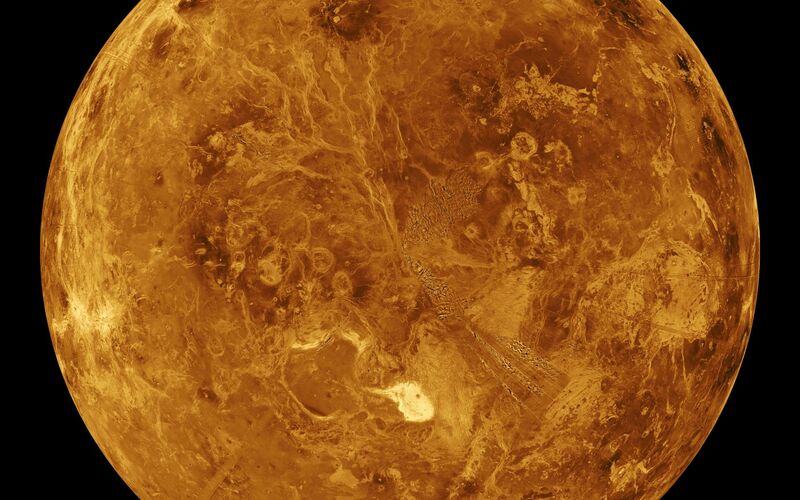 Magellan obtained coverage of 98 percent of the surface of Venus. Remaining gaps are filled with data from previous missions, (the Soviet Venera 15 and 16 radar and Pioneer Venus Orbiter altimetry) and data from Earth-based radar observations from the Arecibo radio telescope. Simulated color is used to enhance small-scale structures. 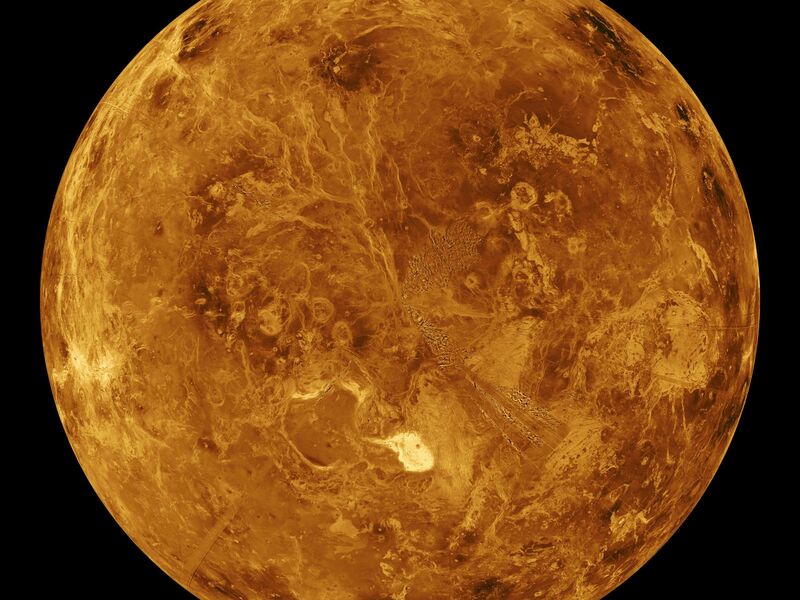 The simulated hues are based on color images recorded by the Venera 13 and 14 landing craft. 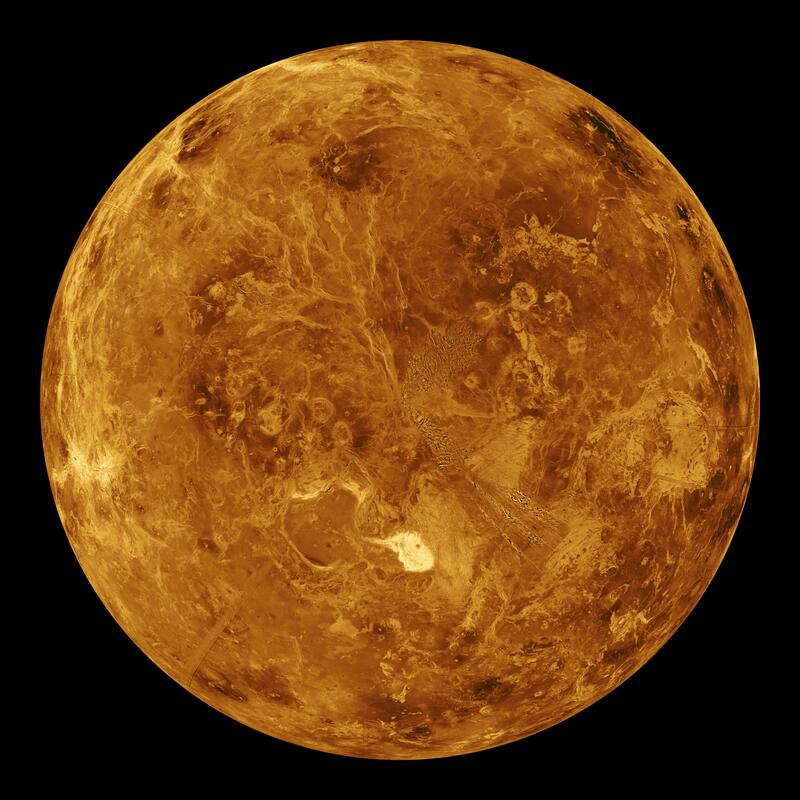 Maxwell Montes, the planet's highest mountain at 11 kilometers (6.6 miles) above the average elevation, is the bright feature in the lower center of the image. Other terrain types visible in this image include tessera, ridge belts, lava flows, impact craters and coronae. The image was produced by the Solar System Visualization Project and the Magellan Science team at the Jet Propulsion Laboratory Multimission Image Processing Laboratory. The Magellan mission is managed by JPL for NASA's Office of Space Science.